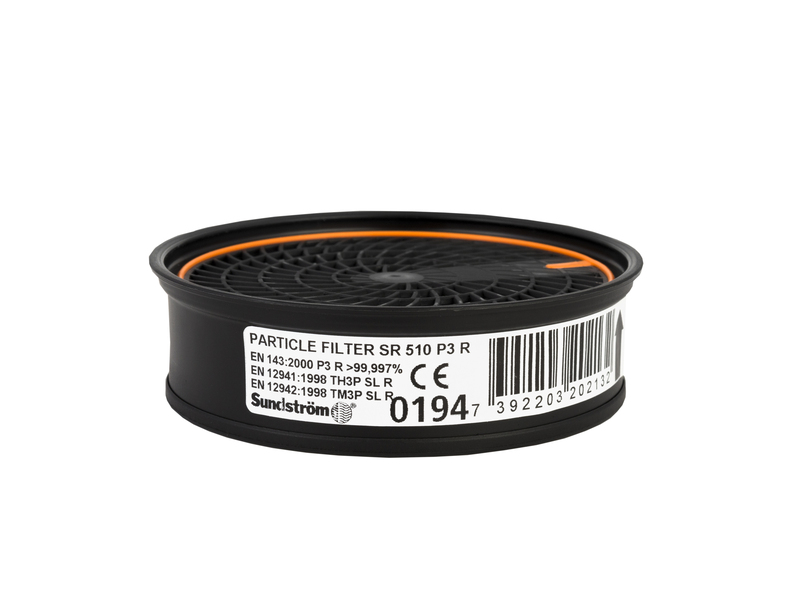 SR 510 P3 R is a mechanical filter with extremely low inhalation resistance. SR 510 protect against all types of particles (dust, fume, fog, spray, asbestos), even bacteria, viruses and radioactive pollution. SR 510 also fits on all Sundstrom filterrespirator products. Combinations of filters can be used if gases/vapours and particles occur at the same time.